You may return most new, undamaged items purchased from American Gymnast. Please be aware that some of our equipment and mat suppliers will charge up to a 20% re-stocking fee for the return of items. Please call us prior to purchase to find out whether a return of your item(s) will incur this re-stocking fee. Any re-stocking fee will be deducted from the final credit we issue back to you. You are responsible for return shipping. It is highly suggested that you use a carrier that offers tracking numbers when returning your item. If you believe that you should not be responsible for return shipping charges, please give us a call at 1-877-789-2267 to discuss. Please click here for the Return/Exchange Form. To help us more quickly complete your request, please attach this form to a copy of your receipt or packing slip. 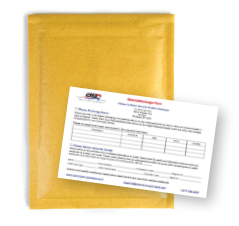 This return form is ONLY for grips or wrist supports (NOT equipment, mats or other items). For returns on items other than grips and wrist supports, please call us at 1-877-789-2267.